Kumar Sangakkara, one of the most influential cricketers of all time and former captain of the Sri Lankan National Team, was appointed as ESET’s Brand Ambassador in Sri Lanka. 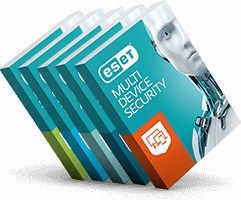 ESET has earned the highest rating possible in the latest SC Magazine Review. In the latest blog post on WeLiveSecurity.com, ESET researcher Anton Cherepanov provides an analysis of CVE-2015-4495 vulnerability in Mozilla Firefox’s PDF.js viewer.